Sometimes all it takes is a ‘strategic’ collaboration between opposing parties to unveil the literary brilliance of our ancestors. Well, this time around the fortuitous partnership was made between Sulaymaniyah Museum (situated in Slemani, in the Kurdistan region of Iraq) and an actual smuggler – and the result was the acquisition of around 90 clay tablets. One $800 artifact among these precious specimens tickled the fancy of Farouk Al-Rawi, a professor at the University of London. And after analyzing this particular tablet, with the aid of Andrew George – an expert in languages and translations, the Al-Rawi discovered that the object contained an unknown portion of a familiar story. And this story entails ‘The Epic of Gilgamesh’, which is widely believed to be first-ever epic poem and probably humankind’s first achievement of a grand literary work. Now, while the Sulaymaniyah Museum had initially suggested the date of this purchased clay tablet to be from the old-Babylonian period (from 20th to 16th century BC). However, the reassessment by Al-Rawi and George, put forth the date of his object at 626-539 BC, thus corresponding to the neo-Babylonian period. 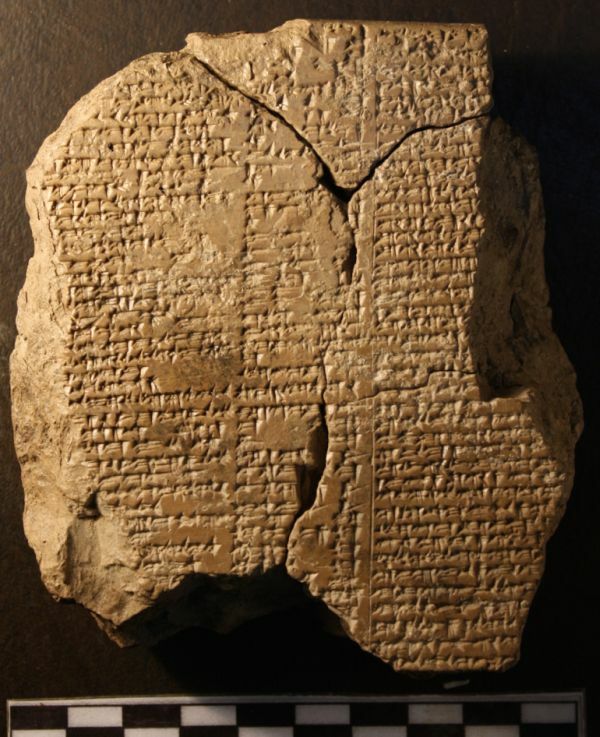 To that end, by this time period, it was probable that the tale of ‘The Epic of Gilgamesh’ was intentionally broken down into different tablets (wit variant passages) for ease of distribution among the scribes and cultural officials of Babylonia. As for this particular tablet, the inscription upon it follows a familiar cuneiform script, but comprises a previously unknown part of the epic. Gilgamesh and Enkidu cut down the cedar to take home to Babylonia, and the new text carries a line that seems to express Enkidu’s recognition that reducing the forest to a wasteland is a bad thing to have done, and will upset the gods. As of now, this tablet containing a very small (albeit interesting) portion of ‘The Epic of Gilgamesh’, is currently displayed at the Sulaymaniyah Museum. The corresponding study done by the collaborative of Farouk Al-Rawi and Andrew George, was published in the Journal of Cuneiform Studies. Previous Article← Nu Ankh or Noah’s Ark?